Each Successful booking using the Forex Cargo Mobile App would earn you an entry to our promo. Forex Cargo Promo runs from May 1, 2018 to September 30, 2018. Each box sent will be one entry into electronic barrel, so the more you send, the more chances you have to win! There will be 10 prizes to be won. 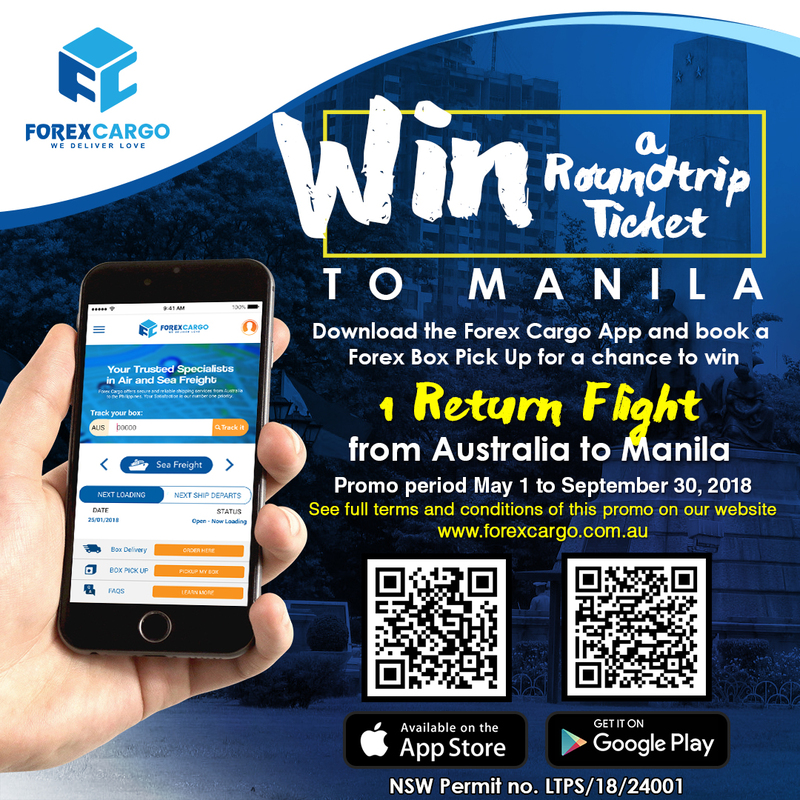 1 x Grand Prize will be a Roundtrip Airfare Ticket to Manila from (Sydney, Melbourne or Brisbane*) flying Philippine Airlines from courtesy of Forex Travel. 9 x Individual Winners of a free Premium Balikbayan Box Shipment to the Philippines, sea freight door-to-door. See full promo Terms and Conditions on the link below. View Promo Terms and Conditions Here. Should you have any concerns please contact us at +61 2 87770000 or email us at customercare@forexcargo.com.au.